The psychic revolution begins in Harbinger Wars 2. Superheroes love getting into dust-ups with each other almost as much as they love getting into them with villains. This summer, the Valiant Comics universe will be no different with Matt Kindt, Eric Heisserer, and Tomás Giorello’s Harbinger Wars 2—and we’ve got a look inside the issue that kicks it all off. Starting off with a special prelude issue May 2 before it all kicks off later in the month, Harbinger Wars 2 (written by Matt Kindt, and with art from Tomás Giorello and Diego Rodriguez) will see America at large realize the existence of Psiots—the psychically powered heroes of the Valiant world—living among them. As tensions rise, the US Government deploys military forces into the streets to find and evaluate the threat of potential Psiots, while Peter Stanchek, aka Sting, amasses a renegade army of psychics to fight back against their persecution. The primary cover for Harbinger Wars 2 #1. Cover B for Harbinger Wars 2 #1. Felipe Massafera’s full variant cover for Harbinger Wars 2 #1. 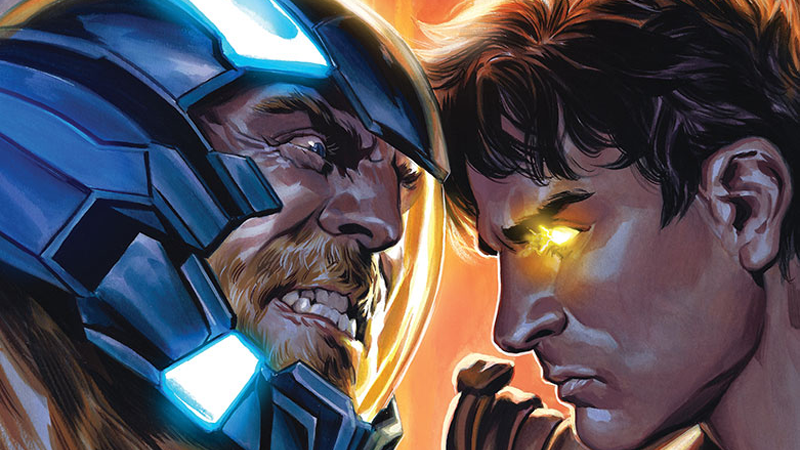 Harbinger Wars 2 kicks off with Eric Heisserer, Raúl Allen, and Patricia Martin’s Harbinger Wars: Prelude May 2nd, while the four-issue Harbinger Wars 2 series begins May 30.